According to the information from the regional tourist department Residents of China travel to the cities and districts of Primorsky region more and more often. 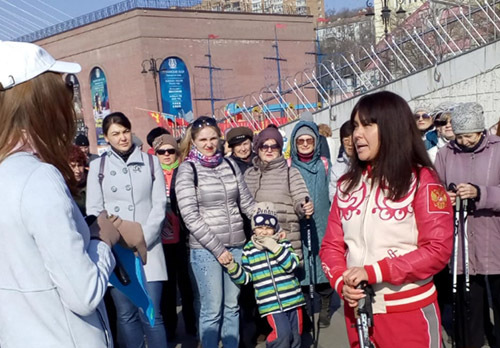 According to the head of tourist department, Konstantin Shestakov, 184 thousand of Chinese tourists have visited Primorsky region within 10 months of 2016 in visa-free tour groups, for comparison, 115 thousand Chinese have visited the region within the same period of 2015. Primorsky region is the second region in Russia by the quantity of tourists from China, the first one is the capital of Russia. The majority of international tourist flow is between citizens of Primorsky region and the neighboring Heilongjiang and Jilin provinces of China. According to Konstantin Shestakov, work being made on promotion of tourist potential of the region is an important factor of tourist flow increasing. This week on of the most important tourist exhibition China International Travel Market will be held in Shanghai, Primorsky region will be represented by eight regional tour operators, representatives of Sea Passenger Terminal and Tourist Informational Center. Since the development of cruise tourism is one of the strategic priorities of the region, a meeting between delegation of Primorsky region and the heads of the three major cruise operators Sky Sea Cruise Line, Royal Caribbean International and Costa Group Asia will be held within the frame of this exhibition. 26.07.2016 Primorsky region became twice as popular among foreign tourists.